and Total Knee Replacement surgery. The Hip & Knee Center is led by renowned surgeon, Dr. Shawn W. Palmer, one of the nation’s most experienced anterior approach hip replacement surgeons and a national instructor for surgical skills training. Dr. Palmer has performed thousands of minimally invasive surgical procedures that reduce pain, enable faster recovery and help patients regain their mobility. The Hip & Knee Center has multiple locations in Kane County, serving patients in Chicago and the surrounding suburbs. 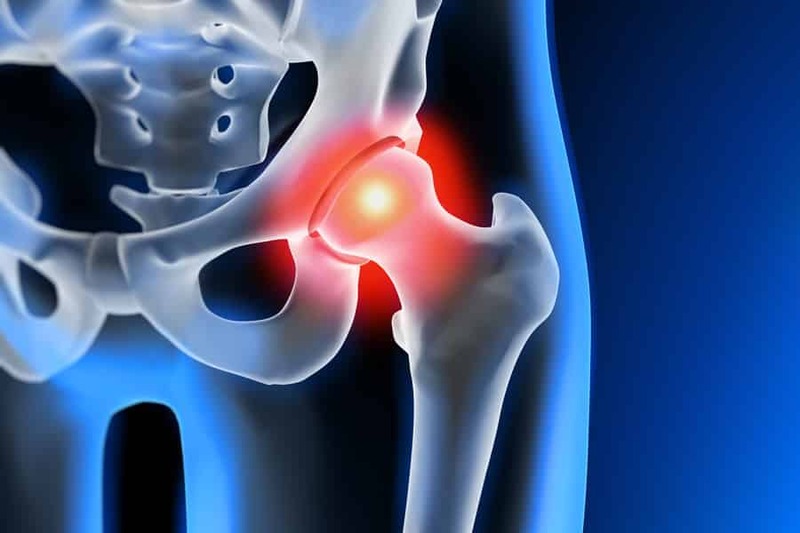 Are you experiencing Hip Pain? Are you experiencing Knee Pain? The Hip & Knee Center Specializes in Anterior Approach Hip Replacement and Total Knee Replacement Surgery. Dr. Shawn W. Palmer D.O. While many doctors perform hip and knee replacement surgery, not many surgeons focus exclusively on these two procedures nor have they performed thousands of hip and knee replacements. 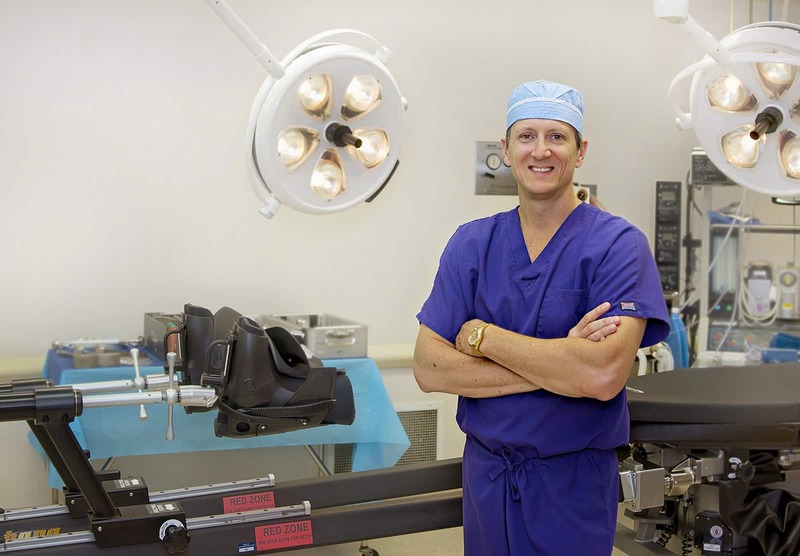 Renowned surgeon Dr. Shawn W. Palmer is a national instructor for surgical skills training and one of the nation’s most experienced Anterior Approach Hip Replacement surgeons. When considering surgery to regain your active lifestyle, his experience can make all the difference. At the Hip & Knee Center, we believe it is important to educate our patients on what to expect ahead of their first appointment. Learning more about the kind of care they will receives pre and post surgery will make for a better patient experience. Watch our educational videos to learn more about The Hip & Knee Center, Dr. Shawn W. Palmer, the surgical procedures, and what you can expect from him and his team. "A nurse who has worked for years with knee replacement patients of different orthopedic surgeons, recommended Dr. Palmer. It was stated that Dr. Palmer’s patients do the best in their post-surgical experience. My experiences with Dr. Palmer and his staff have been great. My surgery took place about 11:30 am and by mid-afternoon, I was already done with my first physical therapy session walking the hospital hallway with the aid of a walker. My progress was so remarkable that I walked into my one week follow-up using only a cane and that cane was abandoned into my third week following surgery because it became a nuisance bringing it to physical therapy. People … relatives, friends, other knee replacement patients and physical therapists … were astounded that I progressed so quickly compared to other total knee replacement patients. Having just turned 67, I am again able to walk normally, without a limp or pain. Disneyworld/Epcot is planned for next month and I look forward to resuming normal activities of golf, bowling, walking/exploring/hiking on vacations, bicycling and maybe some blue cruisers skiing out west. If I ever need my other knee or a hip replaced, Dr. Palmer is my man." I selected Dr. Palmer because I have used Midwest Bone & Joint Institute for some previous work for my foot, wrist, and hip. The first time met Dr. Palmer I was very impressed with his professional but warm approach. I checked Dr. Palmer out online and found his credentials outstanding and came highly recommended by his peers. When the surgery time came, Dr. Palmer was there to inform my wife and me of what to expect. Wow! Everything went perfect and to plan. The facility and surgical team were exemplary. The experience was the best I have ever had in any hospital setting. The pain before surgery was usually hard to take. The moment I awoke from surgery, the joint pain was gone and what a relief! I hadn't realized how bad it was until it was gone.the same night I was able to walk the floor with the Therapist. The next day, after walking the floor again and a few stairs, I was off for home. I am well on my way to a quick recovery and couldn't be happier. Can't wait to golf again! Schedule as soon as possible as Dr. Palmer is a busy guy. With his skills and reputation, I can see why. A close friend was passionate about his experience in hip replacements by Dr. Palmer. He is very approachable in explaining and discussing all elements of the surgery and confident in his process and procedures. He answered every question I had and that was many! He worked with me and my wife, Janet, in recommending and obtaining the hospital rehab that set me on a quick path to recovery. People hear that I had my both hips replaced in one surgery and are truly amazed at the mobility and strength I have and in a short time for recovery. I would nothing less than URGE anyone to be sure to talk to Dr. Palmer and then schedule the surgery. His techniques, expertise, experience and knowledge along with the team of the Nurse, PA and the entire staff are there for you when you need them. The care given pre, during and post surgery is truly exceptional and have only fond feelings for the Palmer Team. I had appointments with 3 doctors prior to contacting Dr. Palmer. He had been recommended by several people during chance meetings. I had been trying to avoid a hip replacement but after meeting him he convinced me that the anterior hip replacement would be the best option for a torn labrum and the cyst that developed. It had been causing a great deal of pain and significantly reduced my movement. When Dr. Palmer described how quickly I would recover from the anterior hip replacement I knew it was the right choice. He was confident I would be without pain in matter of weeks. I walked without assistance in two days and did not need anything stronger than Advil to manage pain. The incision is small and healed quickly. As promised, I was driving in four days after leaving the hospital. Dr. Palmer's office was quick to set up home Physical Therapy. I had been in so much pain for 6 months I sometimes could not finish a grocery shopping trip. I needed to rest and ice my hip every couple hours. It wasn't until after the surgery that I realized the cyst had been impacting my movement for over a year. Within a few days of the surgery I was able to lay on that hip and sleep through the night, regained my energy, and was feeling much better. Did I mention I went kayaking 3 weeks after surgery? Dr. Palmer will answer all of your questions before surgery and his nursing staff is available for any after surgery questions you may have. I suggest you meet with Dr. Palmer for an honest opinion for treatment. His extensive experience with minimally invasive hip surgery, as well as his engaging personality, was all that I needed to decide on Dr. Palmer. From the first visit to the follow-up visit following surgery, there was nothing but the utmost professionalism demonstrated by Dr. Palmer and his staff. I was walking without assistance from the first steps after surgery and able to climb home stairs within one week. Except for some minor post-operative discomfort, the majority of pre-surgery pain has disappeared. Be in the best possible shape physically prior to surgery in order to reap the most benefits from the procedure in the least amount of time! After much research and seeing two other doctors, two different physical therapists opinions, on my condition. The anterior approach made the most sense for me. Dr. Palmer had a reputation and his speciality and experience won me over. He answered my questions, and did not seem hurried to get to the next patient. I had my operation on my right hip in January 2015, and walking without a cane, back to work and driving in 12 days. In May, I had my left hip replaced due to limited range of motion and pain as well. I am able to get back to work, and doing home activities that I had to put off due to pain and lack of motion. If you are a candidate for hip surgery, I highly recommend Dr. Palmer. Dr. Palmer was highly recommended by a fellow firefighter. I am a retired FF/paramedic and always have been active in a variety of sports. Dr. Palmer suggested replacing both knees at the same time--meaning one surgery and one rehab. My experiences (2 knees, one hip replacement) with Dr. Palmer have been excellent. He is a wonderful surgeon who has performed joint replacements on many friends and fellow firemen on my recommendation. I will be 73 in December and am still able to do the American Birkebeiner cross-country ski race (55K) thanks to Dr. Palmer. I was in Physical Therapy at ATI Royal Blvd and heard several positive comments about their surgery with Dr. Palmer. His website was instrumental in selecting him as my surgeon. He is very confident in his abilities exclaiming that he usually replaces a knee in 20 minutes!! He took the Bandage off in one week and things have been going so good I haven't seen him since. In 2007 I had my Left Knee replaced by a different Doctor. It was pretty rough for the first 4 weeks. Dr. Palmers procedure was far better for my Right Knee. I walked the hospital halls the following day and have been on cruise control ever since. Surgery was quick, efficient and the Recovery has been very smooth. Outside of a very sore Thigh "Bruise" I have had little to no pain. I'm Golfing after 5 weeks!!! Don't delay your surgery, get on the schedule ASAP. Follow Dr. Palmers instructions to the letter and work hard in Physical Therapy. You will be amazed at how fast you come back. No more pain or bone on bone. "I went to Dr. Palmer because I was told by my doctor that he was the best orthopedic for this procedures. I was impressed from the start. He was confident in his abilities and assured me that he would do great job. I was back to work, without the pain that I had before. I am still working on recovery, but that pain is nothing compared to before. I think any patient will be very happy if they chose him." ©2018 The Hip & Knee Center. Designed by Menagery, Inc.